Giving Bad Habits the Boot! 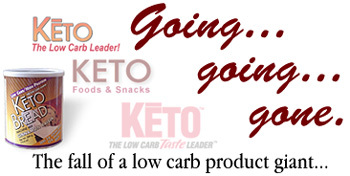 Over the last several months, we at Low Carb Luxury have struggled with how to handle news of the demise of Keto Foods. Should we make an announcement? Should we continue to answer queries about it individually? Afterall, we've had a long standing relationship with this company, its CEO, and a number of its staff. They've worked with LCL since 1999 to help us get low carb product news to you and in the past have supported our magazine with advertising. On February 13, the Star Ledger of New Jersey printed their article on Keto's downfall. And since we think it tells the story quite well, albeit a little abreviated, we asked permission to reprint it for you here. Low Carb Pioneer Goes from Fat to Lean Times, Then Expires. When low-carb dieting officially hit "craze" status during the late 1990s, executives at Keto Foods saw an opportunity. The Tinton Falls-based manufacturer started small, with a line of shakes, but within a couple of years expanded to more than 100 low-carbohydrate foods, from pasta to frosted flakes to ice cream. Sales, at $5 million in 1999, were projected to reach $40 million last year. Today, the blenders, canning machines and chocolate melters that once cranked out dozens of Keto products sit idle, waiting to be auctioned. The marble conference table and executive gym with plasma television go unused. Keto Foods, which once claimed to have the world's largest line of low-carb foods and that bankers once believed could be sold for at least $300 million, is liquidating its assets. Lawsuits from unpaid creditors are mounting. The privately held company that employed 135 workers at its peak is out of business. 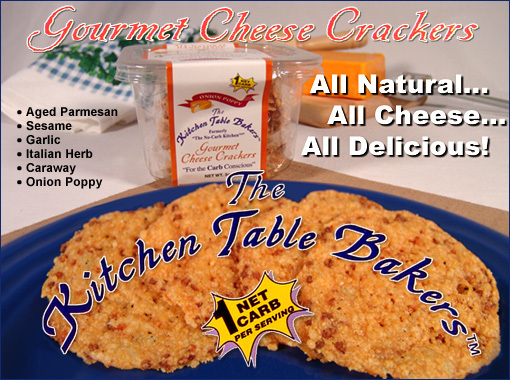 Some who are familiar with the company's operations say bad management, more than declining demand for low-carb foods, led to its demise, although a Keto official disputed that assertion. "They were one of the first innovators, like Atkins, in low carb," said Wayne Gorsek, chief executive of Vitacost.com, a Boynton Beach, Fla.-based online retailer that used to sell Keto items. "Keto made good products." But Gorsek described Keto Chief Executive Arne Bey as inflexible, saying Bey refused to negotiate even when Gorsek was getting better prices and service from competitors. "If you don't care about your customers, if you don't care about your competitors, you're done," said Gorsek, who flew to New Jersey in late November to look at Keto's equipment. Bey, who last year was one of 31 finalists in Ernst & Young's statewide entrepreneur-of-the-year competition, and a company attorney said Keto was caught in the changing tides of the low-carb marketplace. "Why did we wind up in liquidation?" Bey asked about Keto, which previously made dietary supplements. "It certainly wasn't mismanagement. We were primarily victims of forces outside ourselves." Last year, sales of low-carb foods and beverages hit more than $2.1 billion, according to ACNielsen LabelTrends. It was a 235 percent increase from 2003, and a universe away from 2000 sales of $202.5 million. But a look at quarterly figures shows a slowing sales trend. During the fourth quarter of last year, the sales volume decreased 10.5 percent, the first time in at least two years the quarterly figure dropped. The number of Americans who say they follow a low-carb diet also has been fluctuating. Beginning in December 2003 and continuing through August 2004, about 11 percent of consumers polled by market research firm Opinion Dynamics said they were on a low-carb diet. By December, that figure had dropped to 6 percent, but it jumped to 15 percent last month. Harry Balzer, a vice president at market research firm NPD Group who tracks food trends, said the popularity of diets typically peaks early in the year. He compared low-carb dieting with the low-fat diets that were popular a decade ago. "It (low-carb) will be around, but in my mind it was clearly a fad," Balzer said. "A lot of people mistook this movement as a trend that would go on forever." Going into 2004, Keto's fortunes seemed bright. Already in thousands of health-food stores, it was expanding into retail chains such as Walgreens. The company was in talks with Wal-Mart to sell some of its products to the world's largest retailer, Bey said. More importantly, Keto had hired Bear Stearns to shop the company around to large food manufacturers. The investment bank believed Keto could fetch between $300 million and $400 million, Bey said, and they were close to consummating a deal with one of the dozen or so interested suitors. The company was so attractive because it manufactured 85 percent of the foods it sold, translating into better profit margins, he said. Then Keto hit a wall. As the low-carb idea took off, huge food companies such as Kraft and Unilever started making hundreds of products that flooded the marketplace, Bey said. Most of those newer items were sold by supermarkets or mass retailers, and Bey said sales of Keto's products, found primarily in health-food stores, dropped. "We were crushed by the competition," he said, adding he miscalculated by thinking the big companies wouldn't be able to get their products on shelves until this year. Buyer interest disappeared after Keto missed its financial targets. The company then defaulted on its bank loan. "We thought we could turn it around between July and the end of the year, and we could not," Bey said. Pete Maletto, who used to work at Keto and created many of the company's products, said Keto made a critical misstep when it pushed into the mass market. Bey said the move was necessary to survive, but Maletto said many of the health-food stores that were Keto's core market felt betrayed and stopped carrying Keto products. "It could have been such a successful thing," said Maletto, who left in April and runs a dietary supplement company called DynaPure Nutrition with another former Keto executive. "We could have had longevity if we stayed in the health-food stores." Keto isn't the only company to be tripped up by the low-carb winds. Last fall, Atkins Nutritionals hired a crisis management firm to help run the company and laid off workers. On the flip side, companies from Krispy Kreme Doughnuts to Interstate Bakeries blamed high-protein, low-carb diets for soft sales and other problems. At Keto's headquarters in Monmouth County, the equipment — some of it never used — is scheduled to be auctioned Feb. 24. For sale along with the production equipment is high-end office furniture and equipment from a small executive gym. The business hasn't filed for formal bankruptcy protection, which can be a costly process as it goes through the courts. It instead is working with its secured creditor, a financial institution, to liquidate assets. Gorsek, from Vitacost.com, said he was surprised during his visit to see a marble conference table and spacious executive offices with their own bathrooms. The executive suites, he said, were "literally the size of our entire call center." Bey said the offices were "really wonderful," but he didn't believe they were over the top. He said the company wanted to be like a Fortune 500 firm. Negotiations to relaunch Keto fell through in recent weeks, Bey said, but the intellectual property and product recipes remain for sale. Additional creditors are left wondering whether they will ever be paid. Nick Stello, one of the owners of Stello Foods in Pennsylvania, which made low-carb spaghetti sauce for Keto, obtained a court judgment seeking a payment of about $5,000. Another firm that did consulting for Keto has obtained a $51,000 judgment. The company's former landlord is suing for $34,000, an ad agency for $30,000, and smaller businesses such as Broad Waverly Staffing of Red Bank also have sued for unpaid bills. Ken Rosen, an attorney for Keto Foods, said Bey might have done some things differently during the past two years if he had the chance. "With 20/20 hindsight, he made mistakes," Rosen said, "but how many people have 20/20 hindsight?" Reprinted with permission of The Star Ledger of New Jersey. Contents copyright © 2005 Low Carb Luxury. All rights reserved. Use of this site constitutes your acceptance of our Terms and Conditions. Design and Development by Accent Design Studios.